It has been a year and a half since the Learning Design Support Environment (LDSE) team last reported in this forum (Masterman, 2009) and a lot has happened since then. The project is now in its last few months, and is looking for potential test-bed partners to trial the software that has been developed – the ALT community has many people with exactly the right experience to challenge us. One of the research purposes behind the LDSE project is to discover how to enable teachers to lead the discovery of innovative pedagogical designs that exploit the potential of technology-enhanced learning (TEL). This goal, timely at the start of the project (October 2008) seems even more relevant today. Learning technologies are now more widely used, but making informed use of them remains difficult. In this context, the recent Higher Education Funding Council for England (HEFCE) Online Learning Task Force (OLTF) report Collaborate to Compete (2011) has set out a strong challenge to the online learning community. It provides a set of six recommendations for supporting institutions in using online learning to help in maintaining the UK’s Higher Education (HE) global market dominance, during a period of changing drivers and opportunities. Their key recommendation is hinted at in the title of the report: UK HE institutions will need comprehensive support for cross-institutional collaboration if they are to maintain their competitiveness. We have designed the LDSE to help with just such a task. The LDSE software environment is now largely developed to the prototype stage, to offer flexible (Artificial Intelligence (AI)- and community-based) support in designing and analysing modules and sessions, from basic resourcing (e.g. time, tools, materials etc.) to the less straightforward pedagogical structuring, sharing and reuse. Both collaboration-supporting mechanisms of the LDSE (AI- and community-based) use a specially-developed ontology of learning design, which is underpinned by the Conversational Framework (CF, see Laurillard, 2009), and by familiar categorisations in the field, such as Bloom’s Taxonomy of learning objectives. The CF provides a way of categorising some of the pedagogical properties of a learning design. To what extent can the ALT community support UK HE institutions in embracing the change to online learning? Recommendation 4 in the OLTF report is for institutions to “ensure their staff understand the range of challenges and the opportunities provided by online learning”. This is a good example of where the LDSE might help. The ‘Time Modeller’ component of the LDSE software (based on Laurillard, 2006) enables the user to analyse the possible effects on learning quality, cost and time resourcing that could result from their current design in terms of group size, online or face-to-face delivery, learning time, etc (see Figure 1). In this way, the LDSE can estimate changes from one design to another across several dimensions of concern, and provide estimates that help support the designers in decision-making. The OLTF report identifies another area where change can be productively embraced (recommendation 2). This is in cross-institutional sharing of the risk of, and the expertise in developing new forms of provision. The LDSE can operationalise this strategic orientation by bridging the barriers inherent in inter-institutional idiosyncratic approaches to defining and describing several aspects of learning design. As one example, the LDSE software uses a pedagogical thesaurus (Charlton and Magoulas, 2010) to mitigate the effects of the differences in institutional cultures and terminologies for learning design. The pedagogical implications of increased online learning demand from UK HE institutions are significant. Student expectations remain the same: high quality learning experiences. The OLTF reports mixed student-satisfaction scores with staff ICT competences, and in recommendation 5 asks that institutions offer “innovative, up-to-date, high quality provision” and for “good practice to be shared”. This recommendation also calls for an end to the ‘not-invented-here syndrome’. We address these concerns directly in the tools that LDSE provides. The Pedagogical Pattern Collector (PPC) – Figure 2, another component of the LDSE software, has been designed to address one of the core principles of our research aim, to foster building on the work of others in the context of learning design. 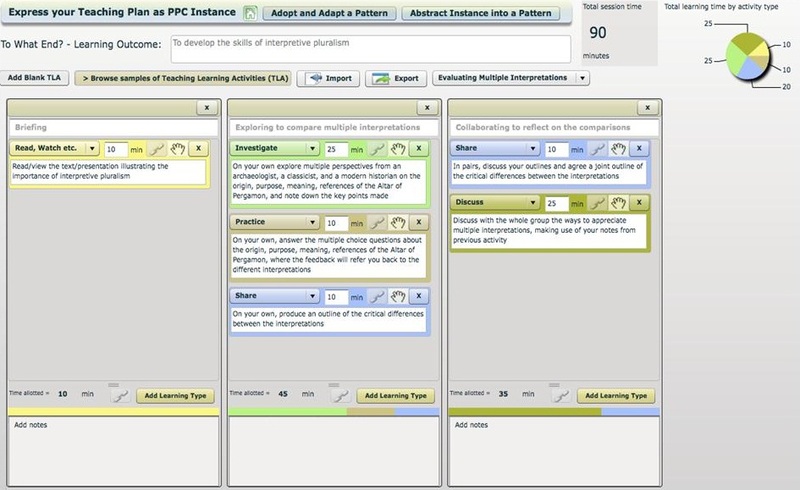 Figure 2: Pedagogical Pattern Collector (PPC), the screenshot is showing the Generator component of the PPC. The other two components in the PPC are the Browser, and the Abstractor. The LDSE approach in this regard centres on the concept of a pedagogical pattern (Ljubojevic and Laurillard, 2010), which details the pedagogy, and uses that to support the user in identifying, expressing, evaluating, adapting, and generalising the instances of their teaching practice for sharing, use, and reuse. This approach de-prioritises the issues of implementation (i.e. tools and resources needed to run pattern-based learning design), and prioritises a way of representing learning designs that teachers feel happy with. The intention is that this kind of support for the learning design process provides the opportunity for teachers to reflect on, and develop their understanding of why, and how, a particular learning design works. The PPC approach could also be seen as a small contributor to shifting learning design technological support from the ‘Co-Digital to its Post-Digital status’. ‘Collaborate to Compete’ entails one more significant piece of the puzzle to be in place: the availability of the open access tools and resources for unimpeded practical and legal sharing. This is the fuel in the collaborative educational furnace – the means of collaboration. The Open Educational Resources (OER) recommendation (recommendation 6) in the OLTF report targets this and suggests substantial investment over the period of 5 years to help materialise the OER promise. The LDSE project, with its broadly scoped definition of ‘resources’, has already built several tools for developing, sharing and reuse of a broad range of resources. These include context-based advice and guidance, pedagogical patterns, and session and module plans; all of which, by the means of the specially developed resource ontology, enable the users (learning designers) to make an informed choice when resourcing their teaching. The LDSE project’s concern with the resourcing of the teaching is no accident, as a large part of the LDSE project’s ethos is to understand, describe and advocate (where appropriate) the use of the technology to enhance learning. This has naturally led us to ponder on the transformational effects that the various types of resources (from hi to low tech) have on the quality of learning. The LDSE project has strong kinship with one of the significant OER projects, the GLO Maker software tool. Professor Tom Boyle who leads the development of the GLO Maker is a co-investigator on the LDSE project, and the original software developer of the GLO Maker v1, Dejan Ljubojevic, is on the LDSE team. The timeliness and the depth and breadth of the LDSE features, given the current concerns in the field, will give it some traction, we hope. 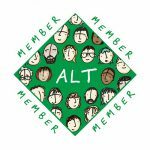 The ALT community is at the heart of the work of enabling teachers to collaborate on learning design, if the UK is to compete successfully in the optimal use of TEL. But it is a very challenging project, and we need your help. 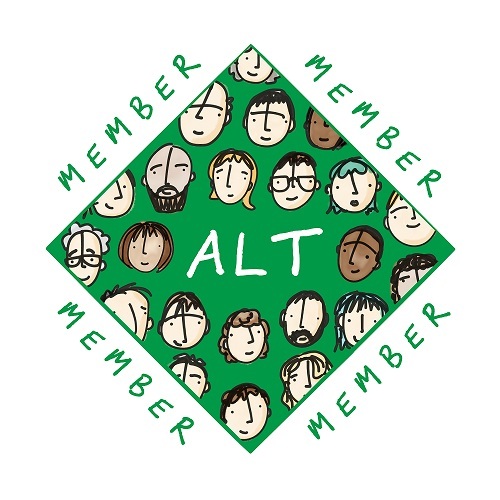 ALT members are aware of the complexity of the problems and how difficult they are to solve. The LDSE as a design tool for an academic community has to keep the balance between making use of what we know about the pedagogies of TEL while dictating nothing, and supporting the community in discovering and sharing how we can improve on current practice and build this knowledge. Please contact us to discuss partnership involvement via d.laurillard@ioe.ac.uk, and try out the Pedagogical Pattern Collector at http://tinyurl.com/ldsepatterns. We would welcome your involvement as partners, and your comments as constructive critics.